I for one love floral prints of all shapes and sizes, but I know there are a lot of people who are hesitant to wear the print because they think it's too "girly" or "feminine." First of all, to each their own, but you should never feel embarrassed or ashamed of looking "too feminine"! Femininity is something to be proud of, not hide and keep under wraps. 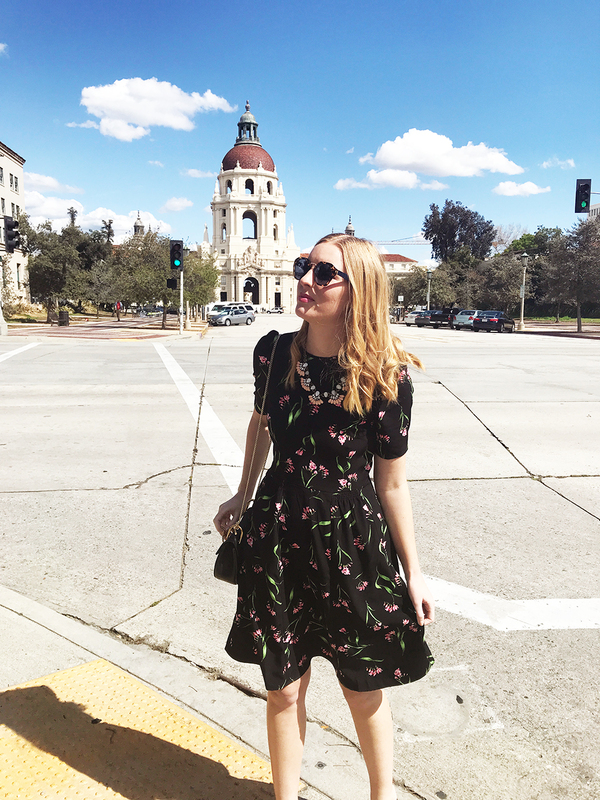 But if your personal style leans towards neutrals and away from floral prints normally, I've got you, because there are a ton of floral print dresses out there that aren't over-the-top in their "girliness" if that's a deterrent for trying the print. A few months ago I found this gorgeous dress from H&M (it's under $40 by the way!) and loved the print and shape. 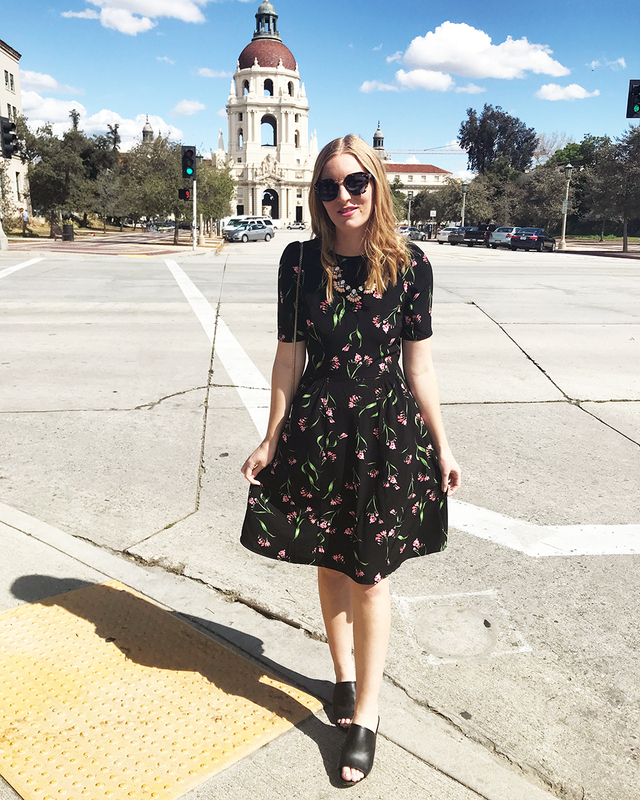 As you probably know, I don't usually wear a lot of black, so I loved this dress because it was black but with a pretty floral pattern to bring it back towards my personal style a bit more. And while I did wear this dress to a girly tea party this weekend, I think it's a perfect floral dress that doesn't look like your grandmother's wallpaper. 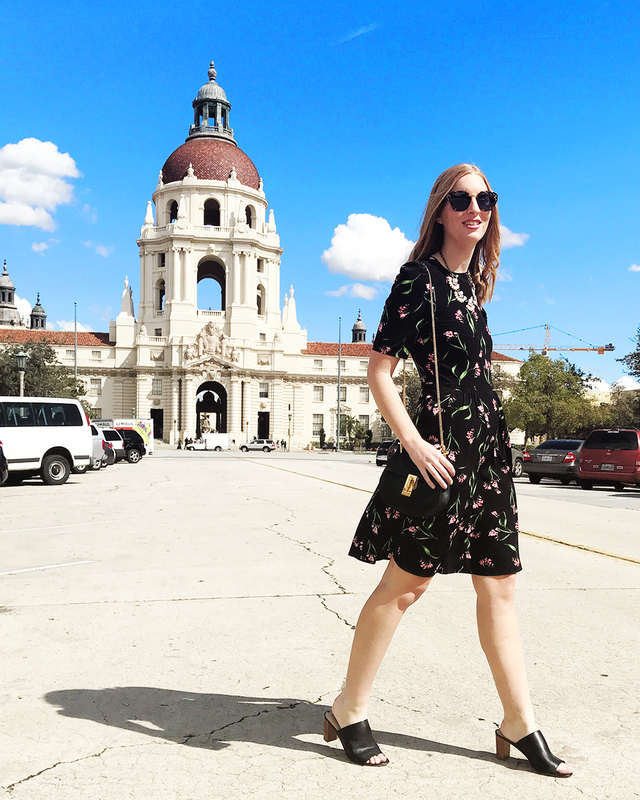 So if you're unsure if you can pull off floral prints, I've rounded up a few gorgeous dresses that strike the perfect balance between edgy and springy florals. Let me know what you think! Such a great dress on you girl! So fun and perfect for spring! The Color That Will Make Your Accessories POP!